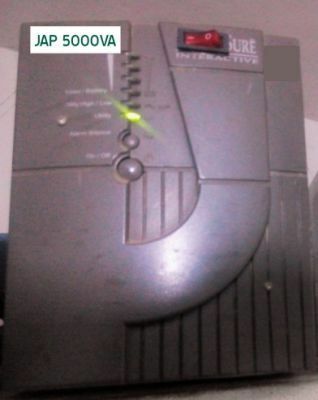 The JAP 5.0KVA will run practically everything in your home or office apart from laser technology based products like laser printers, laser copiers and sensitive medical equipment. Need to double the battery bank? You will require a dedicated charger at an additional cost. That is the only way to guarantee that any number of batteries you have in your battery bank will be charged properly and within reasonable time too.